UK: Despite some enforcement success, EU member states are failing to apply penalties to those breaching the European F-gas regulations and the refrigerant phase down system. The Environmental Investigation Agency’s (EIA) report Doors Wide Open, published today, found only a few examples of fines being applied across member states, with the environmental group claiming the lack of enforcement reduces the deterrent effect for would-be criminals. In September 2018, the EIA contacted each EU member state requesting information on efforts to implement and enforce the F-gas Regulation. Responses were received from 13 countries: Austria, Belgium, Bulgaria, Cyprus, Czech Republic, Denmark, Finland, Germany, Luxembourg, the Netherlands, Poland, Slovenia and the UK. While a company found to have exceeded its HFC quota has its quota reduced by double the amount the following year, all other enforcements are the responsibility of member states. 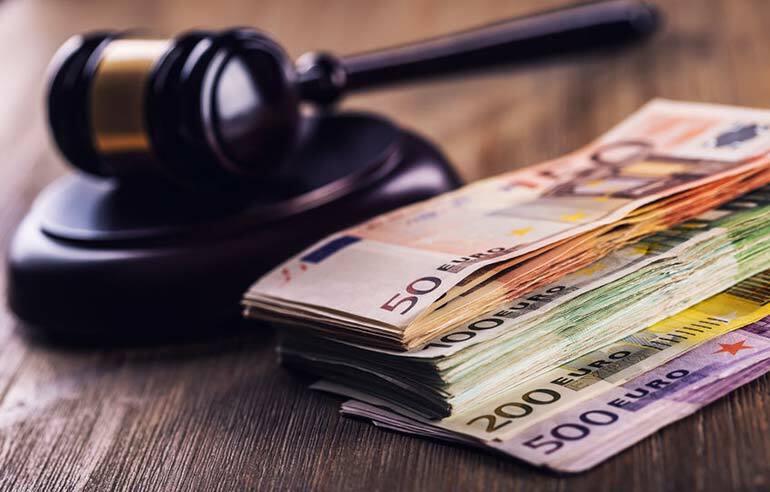 The level of potential penalties also varies considerably from country to country, from as low as €160 to as much as €4m. The responses the EIA received suggest that very few penalties have been applied and most of those imposed have related to leakage checks and record keeping. Of the most active, authorities in the Czech Republic reported issuing 95 fines since 2015 amounting to CZK2,264,000 (approx €88,600). Most fines were issued for infringements related to incorrect leakage checks. Poland – one of the countries most affected by black market trade in HFCs – reported conducting over 600 inspections in 2017 preventing more than 80 attempts to illegally import HFCs. In the first half of 2018, more than 400 illegal HFC imports were stopped. Just one fine was issued in 2017. Another country badly affected, Bulgaria, seized 7,000 kgs of HFCs in 2017, and claims to have imposed 36 fines but did not report the amount of the fines. Most of the breaches related to disposable cylinders, non-quota placing on the market of HFCs, importing HFC-containing equipment without a quota and paperwork infringements. Cyprus also reported fines had been applied for record-keeping infringements although no details were given. The UK reported 23 investigations in 2018 but there have been no prosecutions. The breaches including imports of F-gas without quota, sales of gas in disposable cylinders, sales of gas or equipment to undertakings without appropriate qualifications or certifications, sellers of gas not carrying out the appropriate checks when they sell to undertakings, deliberate release of F-gas and failure to carry out the appropriate leak checks or record keeping. Only three out of 18 refrigerant suppliers and industry associations surveyed in 11 EU member states were aware of government action to address the illegal HFC trade. Croatia, Italy and the UK were the only countries where respondents were aware of enforcement actions being taken, although no prosecutions were reported. Almost half of the companies felt that governments should be doing more to enforce the F-gas regulation. This included greater capacity to inspect and investigate illegal trade and many companies noted the need for higher penalties and better enforcement by customs.